After a hard fought Big Ten battle, OSU comes out on top holding Heisman candidate Le’veon Bell to under 50 yards rushing on 17 carries. Braxton Miller struggled with turning the ball over today, but made plenty of big plays against one of the premier defenses in the country. Miller ran for 136 yards and threw for 179 and tossed the game winning touchdown to Devin Smith late in the 3rd quarter. Urban Meyer has his first marquee victory as a Buckeye coach. It was great seeing the passion from Meyer, the rest of the coaches and all the players and fans after the game had ended. Michigan State is a heck of a good team filled with plenty of players that will be playing on Sundays. The defense certainly stepped up limiting the leading runningback in the Big Ten to 2.6 yards per carry. Michigan State welcomes your Ohio State Buckeye this Saturday to East Lansing for a 3:30 PM kick-off on ABC. College Gameday has also descended upon East Lansing and has been regretting it ever since they arrived. The Spartans and the Buckeyes engaged in a laughable slap-fight last year that consisted of a whopping 499 yards of TOTAL OFFENSE (from BOTH teams) and if it wasn’t for a last minute touchdown from Joe Bauserman, the Buckeyes would have been shut out. The Buckeyes couldn’t even muster ONE yard per carry on the ground. The less we talk of that game, the better. So with that game in the forgettable past, let’s look at what will be taking place this Saturday. Hopefully it will not mirror last year’s contest in any way, shape or form. You already know that when Michigan State has the ball that we’re going to see #24. It’s no stretch of the analytic brain to realize that Ohio State has to stop Le’Veon Bell. He’s one of the nation’s top running backs, statistically speaking, partially due to the fact that his number has been called repeatedly in the first four games of Michigan State’s season. But you tip your hat to Bell and prepare to play smash mouth football. At the helm of the Michigan State’s offense is Andrew Maxwell. Maxwell is not exactly a young quarterback. He’s a junior that has spent time behind Kirk Cousins before finally getting the opportunity to lead the Spartans into Big Ten play. Michigan State’s wide receivers are inexperienced and there isn’t a true playmaker among them. Their big TE, Dion Sims (#80) will be a tough matchup. He is huge with great hands but is definitely not a big play threat. He’ll hurt the Buckeyes a couple times for first downs but overall he probably won’t be able to contribute extensively to stretch the field. Without the threat of a playmaker at wide receiver, Ohio State should be able to leave returning-from-injury cornerback Bradley Roby and Travis Howard in man-to-man situations and cheat up the safety for run support. Until Maxwell can prove he can go downfield to some deep, the Buckeyes will have the run support they need to stop the Spartan (read: Bell) running attack. Cliche time: this game is going to be won in the trenches. Again, no surprises here. This game is the classic strength on strength-on-strength. Big uglies and hogmollies and whoa Nellies. The trench warfare will probably tilt in Ohio State’s favor. All-world Jonathan Hankins has been a beast to block up to this point. Whatever faults this defense has had in this young season, Hankins is not one of them. He has been a shining point in this imperfect defense. Whomever he matches up again across the line is going to have his hands full. He may actually decapitate someone on Saturday. What happens with the rest of the line and the line backers remains to be seen. We’ve been promised success and improvement but so far have only seen moments of brilliance marred by missed tackles and lack of discipline. SYR had it right when he suggested that OSU hire Chris Spielman as tackling coach. Wrap and drive. Wrap and drive. Michigan State had its way last year with Braxton Miller. I think they had like 22 sacks, but I stopped counting after the ninth sack, so my memory may be unreliable. The poor performance from the offense last season has many reasons. You could blame the blander-than-vanilla offensive game plan last year if you want. You could blame a still-wet-behind-the-ears freshman Braxton Miller starting for one of the first times, if you want. Whatever it was, the Buckeyes offense struggled to get anything to work. That game was an exercise in surviving adversity where the coaches seemed helpless to change. That was last year. This year, we have already seen enough to know that A) this is not last year’s offense game plan and B) this is not last year’s Braxton. A more diverse, uptempo offense and a stronger, more confident Braxton Miller face up against Michigan State’s defense. This is the first game that Ohio State will be sporting both Carlos Hyde and Jordan Hall in the backfield. Both runners compliment each other in style and the word is that the coaches are working on ways to have both players on the field at the same time. Only one can carry the ball but the options and possibilities become tenfold with a bruiser and a cruiser available. 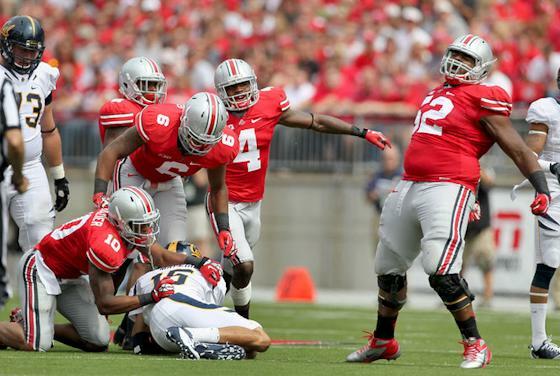 Braxton Miller is going to do Braxton Miller type things. Michigan State has a strong and experienced defensive line, including the return of the (in my simple, humble, mostly uninformed opinion) overrated William Gholston. The offenses that Michigan State has faced so far have not had a play maker like Braxton. A new QB at Boise State and Everett Golson at Notre Dame are solid but are nowhere in the same conversation. So Braxton is going to stress the Michigan State defense. And Mark Dantonio knows it. Urban Meyer is still going to try to establish the run with both Jordan Hall and Carlos Hyde. Ohio State’s offensive line will have a lot to handle with this front seven. As I said in the previous section, this is also where the game is going to be one and like I said before, I think the balance may tip (ever so slightly) in the defense’s favor. Michigan State’s defensive line is going to present the biggest challenge Ohio State’s offensive line has faced thus far. With the emergence of burgeoning stars in “Philly” Brown and Devin Smith, Ohio State probably has an edge in terms of offensive talent and will be needed for moving the ball down the field. With a solid performance so far by Stoneburner, Miller has had targets. Michigan State hasn’t given up a lot of yards through the air but they haven’t exactly pressured any passing games, either. With only three interceptions and three sacks, the Spartans could be ripe for a passing attack while they concentrate so heavily on keeping Braxton Miller bottled up in the pocket, committing extra players to stopping him instead of dropping back in pass coverage. I think Braxton may have a chance to show how far he’s coming along as a passer. This game is going to be a real test. National TV, the College Gameday spotlight and two of the premiere B1G teams facing off in league play. The first road game for some of these freshmen and Urban Meyer and his staff. And with all that said, it’s still going to come down to some old-school, smash mouth Big Ten football. Michigan State’s bruising tailback Le’Veon Bell will be the focal point this weekend for the Buckeye defense. Listed at 6-2, 244 pounds, head coach Urban Meyer described Bell as a “more athletic Ron Dayne.” Bell is second in the nation in rushing with 610 yards through only four games. He is a real workhorse, averaging 29 carries per game and he has reached pay dirt five times. With the Spartans inexperience at quarterback, if the Buckeyes stop Le’Veon Bell, they will have a great chance to win the game. In Sparty’s only loss this year versus Notre Dame, the Irish held Bell to only 77 yards on 19 carries. Bell has done most of his work in the first quarter this year, rushing the ball 43 times for 214 yards. In the remaining three quarters, he rushed the ball 74 times for 396 yards. Coach D’Antonio clearly wants to establish the run in the first quarter and wear out the opposing defense early in the game. Also, Bell is averaging 5.35 yards per carry on first down coming on a 62 carries. If Bell can consistently give the offense 2nd and 5, that will put inexperienced quarterback Andrew Maxwell in a better position to get the first down. Against Boise State in the first game of the season, Bell showed the nation his athleticism and what he can do with the ball in his hands. He showed a killer stiff arm, a devastating spin move, and he also hurdled a safety who ducked his head too early. The Buckeyes will figure out early that he does not go down easily and breaks a lot of tackles. Many times throughout the game, Boise St put their strong side outside linebacker on the line of scrimmage and it did not matter. The Spartans offensive line, combined with Bell’s vision allowed him to consistently make something out of nothing. In the red zone or short yardage situations, Bell will have the ball in his hands the majority of the time. He even took a direct snap out of the wildcat in the red zone that resulted in a few yards. He can also catch the ball out of the backfield and displays pretty good hands for a big running back. The thing that is surprising is that they did not show as much play action as you would expect. The defense knows that Bell is going to get the ball the majority of the time, so one would expect play action on the goal line or short yardage every once in a while. Overall, the silver bullets have their hands full this weekend with Le’Veon Bell. One positive is that if the Buckeyes can jump out to an early lead, they can take Bell out of the game. Putting the ball in Maxwell’s hands more than Bell’s has to be a big part of their game plan. If Bell has over 30 carries to finish the game, the score will be close, or in favor of the Spartans. 1.) Last year, MSU came to the horseshoe and defeated OSU 10-7. Will it be as low-scoring of a game this year? So I can’t say it enough about the OSU offense this year — it is light years ahead of where it was last year. We aren’t a one-trick pony like many like to think, either. Sure, Braxton is our main cog but we have RBs and WRs who can and are playmakers. On the other side, though, OSU’s defense is pretty much exactly where they were last year — not as good as past OSU’s defenses. I don’t think this will be a defensive battle, so no, it will be higher scoring for sure. 2.) Braxton Miller is getting a lot of hype this year. Is he as good as people think he will be? Why or why not? Braxton is as legit as can be. He has the ability to make every play something special. He also is just a true sophomore, learning a new system and does make mistakes. He is way ahead of where he was last year and is showing the kind of things that puts him in the Heisman conversation this year, let alone the next two. Braxton is completeing 62% of his passes and has a QB rating of 146. On top of that, he is averaging 6.6 yards per carry. He has seven passing TDs, two INTs and seven rushing TDs. 3.) The Buckeyes have started slow over the past couple games, but finished off on a very high note. Are the Buckeyes as good as they are made out to be? The Buckeyes are good but not great. They went through a year of hell last year. They have a new coaching staff with new coaching schemes. They are extremely young, playing 14 true freshman. Offensively they are much improved but still have lulls in their game. Defensively they are similar to last year, they still don’t have good enough talent for OSU standards at the LB position. Having said all that, they are 4-0 and nowhere near as bad as most OSU fans seem to want to think they are. They also aren’t perfect either and are having some growing pain. 4.) What under the radar player should MSU be watching out for on Saturday? On offense, I would say it is Jordan Hall and Corey Brown. You will see a lot of sweep plays and option with those guys and Braxton. If Carlos Hyde plays, he is a bruiser back. On Defense I would say the DL is really good. Ryan Shazier is a stud at LB but is prone to overplaying and making mistakes. 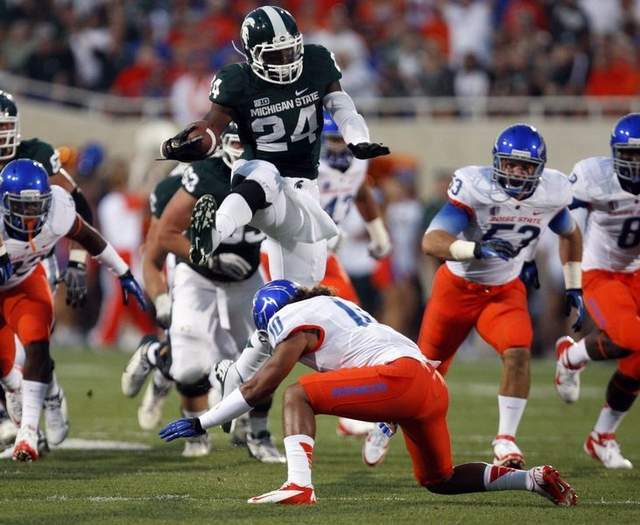 MSU should avoid Bradley Roby at all costs, he is a star. 5.) Is Urban Meyer doing as good as you thought he would be? Hard to say. I think most of us imagined he would just use his magic genie lamp and make the team better. This team is still full of players who went 6-7 last year. He has made major improvements on the offense for sure. He will get the players he needs to fix the defense as well. 6.) What is the thing you’re most worried to play against when it comes to MSU? OSU is better prepared to stop a team like MSU. MSU is smash mouth football. If we can contain Le’Veon Bell OSU will win the game. If they don’t, they won’t. So controlling MSU’s running game is the most worrisome thing for me. 7.) Give us your best score prediction. This is our first road game of the year and under Coach Meyer and lots of unknowns. On one hand I think OSU wins with a score of 24-12. The other is extremely nervous and thinks OSU may lose 17-6. As always, presented without comment. As always, stats are grabbed from cfbstats.com. 1. Ohio State (4-0)- For the third time in consecutive weeks it was not pretty, but the Buckeyes are still undefeated. They travel to East Lansing this weekend where Urban Meyer faces his first conference road test as head coach of the Buckeyes. 2. Northwestern (4-0)- Northwestern is the only team who scheduled and defeated three BCS conference opponents. Look for Pat Fitzgerald’s team to take care of Indiana this weekend before heading to Happy Valley. 3. Nebraska (3-1)- The ‘Huskers welcome back running back Rex Burkhead to complement their already great rushing attack (5th in the nation.) Nebraska’s upcoming battle against Wisconsin had to be circled on Bo Pelini’s calendar after last year’s debacle (48-17) in their first ever B1G game. 5. Michigan State (3-1)- Le’Veon Bell saved embarrassment for Sparty and the conference by rushing for 253 yards in an uncomfortable win versus lowly Eastern Michigan. They welcome College Gameday into town for what could be the best conference matchup of the year versus Ohio State. 6. 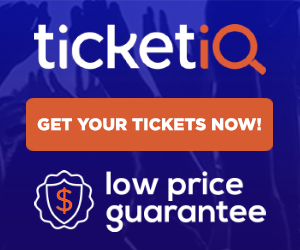 Minnesota (4-0)- One of the three unbeaten teams remaining in the conference, the Gophers took care of Syracuse last weekend and hope to take advantage of a sputtering Iowa Hawkeye team. 7. Michigan (2-2)- TTUN has another week to prepare for the start of their B1G schedule after putting together another embarrassing performance on national television. Denard Robinson completely destroyed his pre-season Heisman chances by throwing four picks in a 13-6 loss at South Bend. 8. Wisconsin (3-1)- To make matters worse, Wisconsin lost Montee Ball to a head injury versus UTEP. For a shade of optimism, the Badgers are somehow 3-1 and could gain momentum if they defeat Nebraska this weekend. 9. Penn State (2-2)- In reality, Penn St. is only a missed field goal from being 3-1 and up a couple of spots in the Power Rankings. Quarterback Matt McGloin is starting to grasp Bill O’Brien’s offense and he looks to keep improving this week versus Illinois. 10. Indiana (2-1)- Indiana had an extra week to prepare backup quarterback Cameron Coffman for this game versus Northwestern. Coffman hopes to lead the Hoosiers to their first B1G victory since the 2010 season finale. 11. Iowa (2-2)- After another bad loss, the Hawkeyes are relieved that the non-conference schedule is over. They hope to start conference play fresh with a win versus unbeaten Minnesota. 12. Illinois (2-2)- The Illini let up a combined 97 points to Arizona State and Louisiana Tech, both pass first teams. Their schedule does not get easier as they have the likes of Penn State, Wisconsin, Michigan and Ohio State coming up in the next five weeks. We are at the midway point of the High School football season and Ohio State fans should feel really good where they are at with this recruiting class. There are several bonafide stars in the class. Others who aren’t as highly ranked are showing they need to be reevaluated. Here are the results of week 5. Jalin Marshall– His team Middletown Middies lost 34-20 to Lakota East. Jalin rushed 23 times for 159 yards with 2 TDs and was 7-of-17 for 80 yards and another score. Eli Woodard– His team Eastern enjoyed a 31-20 win over Cherry Hill East. They stayed away from Eli all game. Cam Burrows– His team Trotwood-Madison beat West Carrollton 20-0. Cam was part of a total defensive effort that kept WCHS to -3 yards total offense for the game. Joey Bosa– His team St. Thomas Aquinas was on a BYE. Marcus Baugh– His team John W North suffered a 17-14 loss to Rancho Cucamonga. Marcus played bothe TE and LB in the game. Evan Lisle– His team Centerville enjoyed a 64-7 win over Greenville. As an O-lineman he helped his team rush for 446 yards. Ezekiel Elliott– His team John Burroughs HS enjoyed a 55-7 win over Mary Institute and St. Louis Country Day. He rushed 12 times for 222 yards scoring 5 TDs and returned a punt for a score as well. Billy Price– His team Austintown Fitch beat Boardman 52-7. Te defense held Boardman to 198 total yards. Jayme Thompson– His team Toledo Central Catholic won 56-27 win over Findlay. He helped his team with a fumble recovery. J T Barrett- His team Rider was on a BYE. Michael Hill– His team Pendleton beat Blacksburg 17-14. Pendleton beat Blacksburg for the 1st time in 28 years. Taivon Jacobs– His team Suitland enjoyed a 41-6 win over Laurel. Taivon had 8 catches for 197 yards and added a touchdown in the win. Darron Lee– His team New Albany enjoyed a 66-14 win over Franklin Heights. He 5 for 8 passing for 133 yards with 4 touchdowns. Tracy Sprinkle– His team Elyria suffered a devastating 62-55 loss to North Royalton. Tracy had a monster game recording 14 tackles with 3 for a loss and two sacks and six quarterback hurries. Tim Gardner– His team Lawrence Central enjoyed a weather shortened 42-7 win over Bloomington South. Tim helped his team win with excellent blocking all game long. Johnny Townsend– His team Boone suffered a 30-7 loss to Timber Creek. No punting stats could be found. Johnny had had four punts of 45 yards or more yards along with one going 65 yards. Tyquan Lewis– His team Tarboro HS was on a BYE this week. What can be said about Ezekiel Elliott and Tracy Sprinkle that I haven’t already said. Both of those guys are absolute studs. Add in some of the other guys stats and there is a lot to be excited about. Every player on this list is someone OSU fans should be excited about even the punter :). Shocking news this morning that former OSU lineman Jason Winrow died suddenly last night at his home. He was 41.